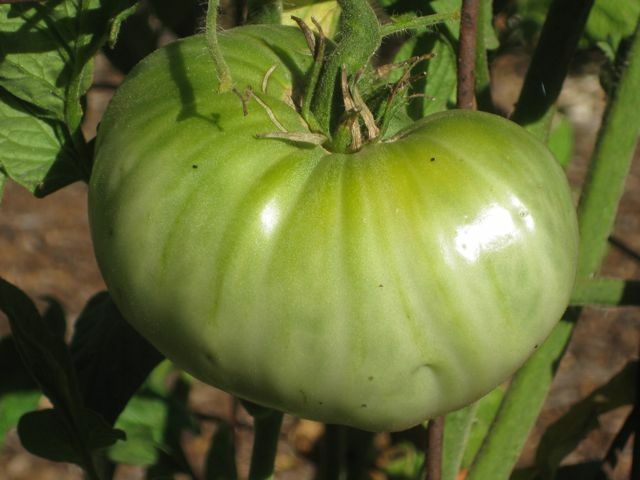 As summer winds down, gardeners are faced with an annual dilemma: will those green tomatoes in the garden ripen? In many areas of California, fresh garden tomatoes remain edible until late October or early November. 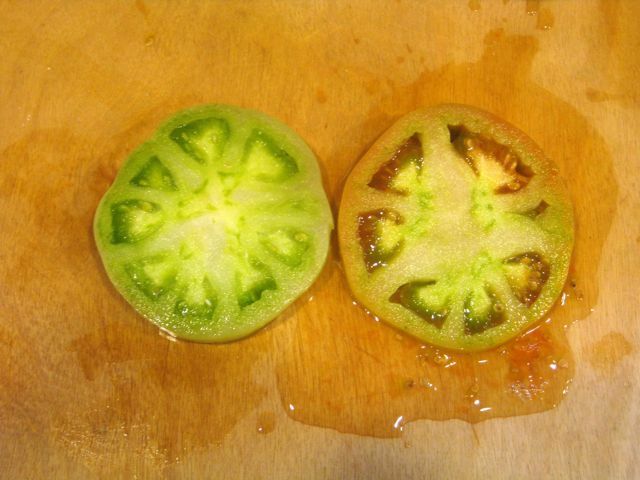 They may not be pretty...but they are still a heckuva lot tastier than any tomato you'll find in a grocery store. 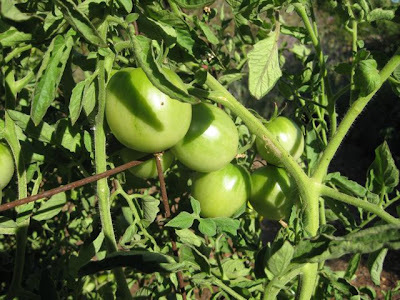 By mid-Autumn, remaining tomatoes are subject to harsher, colder, wetter weather leading to more outbreaks of blight diseases, insect infestations and bird pecking. As the weather turns, are you tempted to harvest those green tomatoes, hoping they'll ripen up indoors? Here are a few tips. 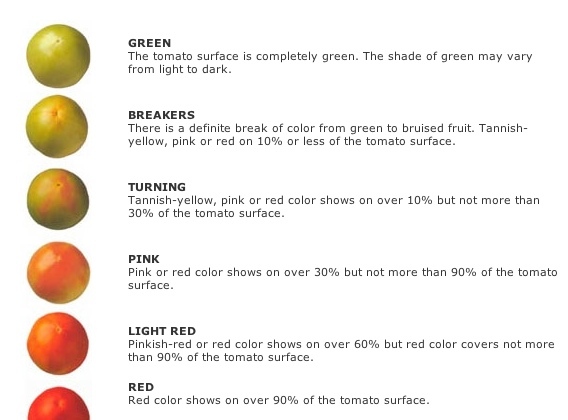 This is wonderful info, especially about the jell around the seeds. 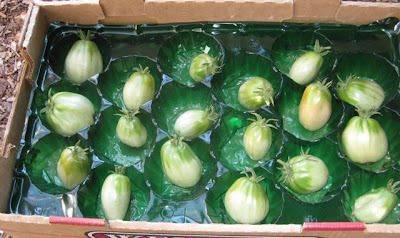 I will try two of the methods of ripening the tomatoes - hanging them and wrapping them in newspaper. 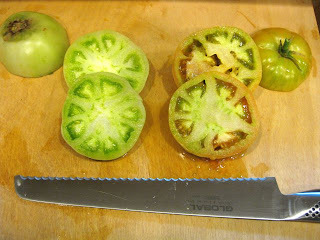 I've had good luck putting one layer of tomatoes in a brown paper shopping bag and leaving it in the pantry, checking every few weeks to remove the ripe ones. How can I save the seeds from an unripened plant with green fruit? 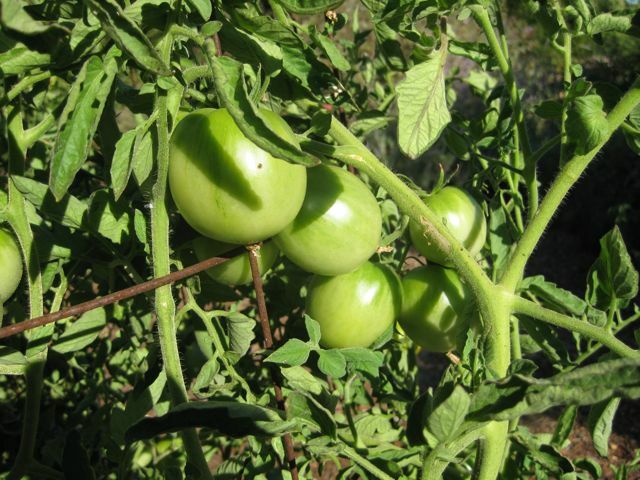 These tomatoes have survived here at 7000 feet and I'd love to perpetuate the strain. Few do so well at this altitude and low humidity, I've found. The green fruit remains hardy even after several freezes over the past month. I think if you follow the tips above for saving green tomatoes to get them to ripen, there should be some viable seeds that might be saved from the tomatoes that have a bit of pink/red color to them.